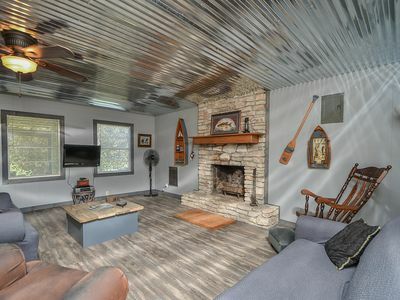 Note: Professional photos of the completely updated property were taken in June of 2016. 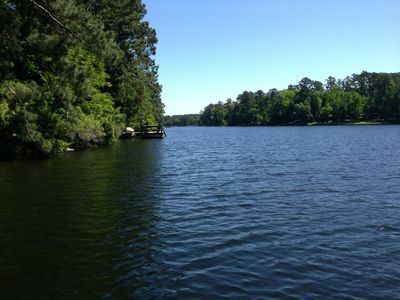 Enjoy the slow pace, peacefulness and sheer beauty of nature all around you on this quiet fishing lake! 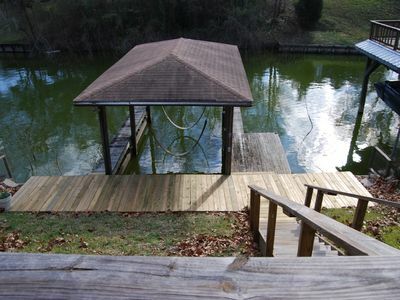 Grab a beverage, a good book or fishing pole and come relax on the floating deck! Have breakfast, lunch or dinner there! 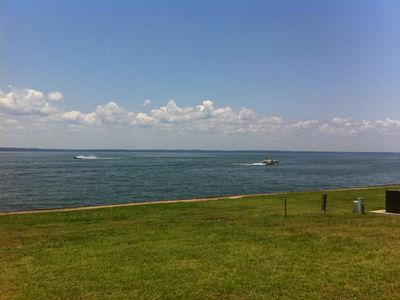 Gentle movement on water is guaranteed to wipe your stress away! 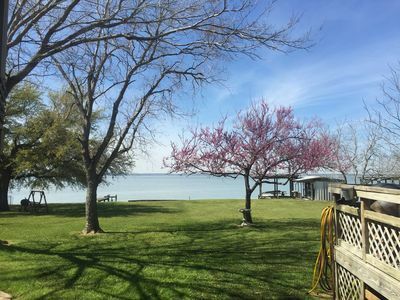 Sitting in the comfy Adirondack chairs underneath the deck's tin roof, enjoy sunlight dancing on water, or bask in the sun on the foredeck, letting all your cares drift away, or just take a little snooze if you wish! 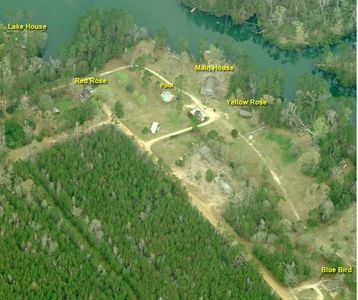 Cozy waterfront Chalet nestled in Big Thicket just outside Ace, TX, 56 miles north of Houston Intercontinental Airport. 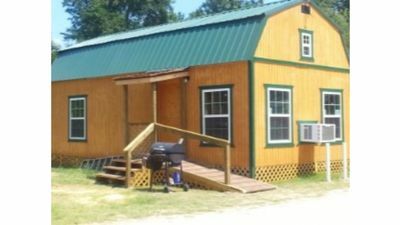 Accommodations: 1 cozy, romantic loft bedroom with queen size bed, 1 bedroom downstairs with full size bed, air-conditioned, woodburning fireplace, HIGHSPEED DSL INTERNET, Satellite TV, large yard, grill on side deck. 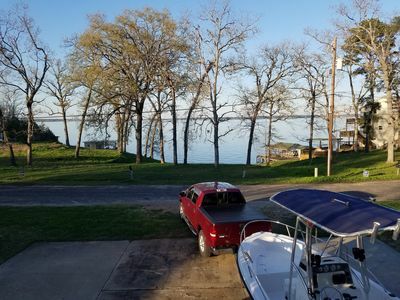 Small fishing boat available in the event renter's would like to use it. 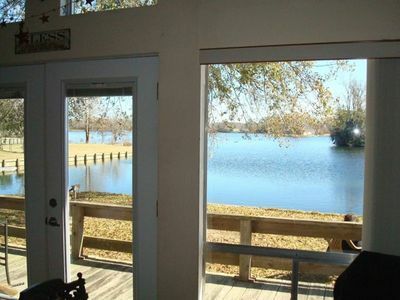 Area is great for bird and nature watching, biking, running, or just strolling in the country! 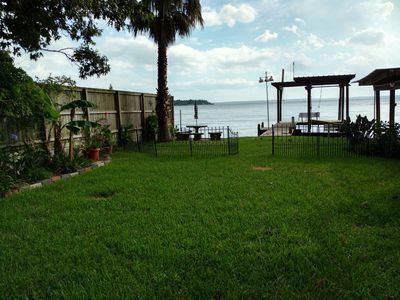 To those who have rented in previous years, the problem we had with hydrilla has been completely eliminated! 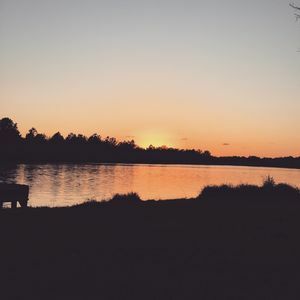 Thanks to our great Lake Restoration Committee's efforts, we have been advised they are planning to put the proper plant life back into the lake. 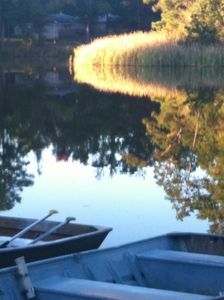 We would love to have you come back and enjoy the tranquility and great fishing that Taylor Lake once again provides. 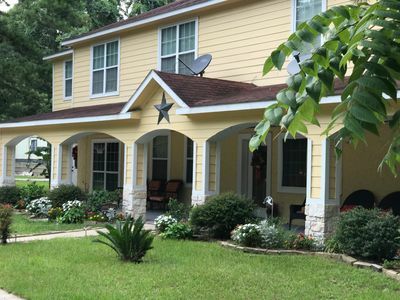 Wonderful, small-family vacation rental, or cozy get-away. 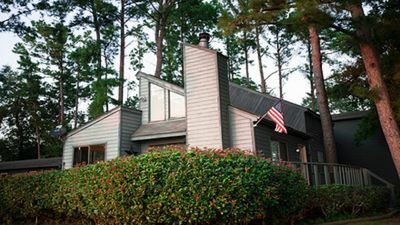 This quiet, charming chalet on a private cove will beckon you back, again and again! 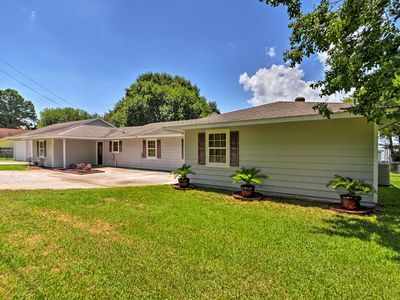 With its wonderful 9-hole golf course, historic Livingston has numerous restaurants, fun antique shops and outlet mall just 17 miles away. 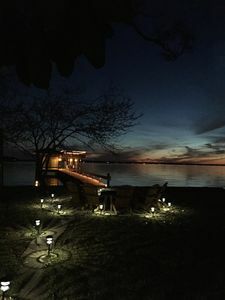 Dine at the famous Hilltop Restaurant and Herb Farm, just 15 miles away where you will delight in their wonderful gourmet cuisine (reservations only), leisurely peruse their wonderful gift shop. Owner welcomes everyone to come and experience first hand her wonderful little chalet, all that it has to offer, as well as her very warm hospitality. Blessings to one and all. 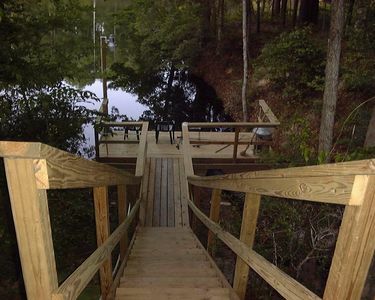 Best Lakefront- Gamehouse Fun, Fire Pit Wi Fi, Sleeps 12, Lit Sundeck . 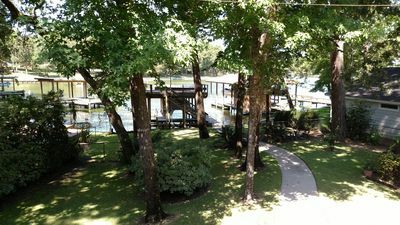 The Gentle Villa Retreat " Come to our place where all worries are left behind"
Lake House Retreat Suite A NEW LISTING!!! 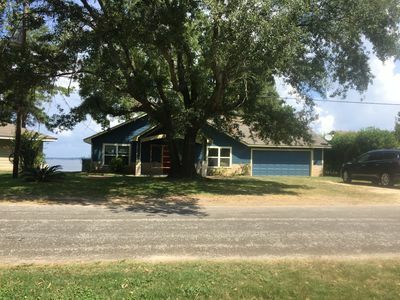 Lake House Retreat A/B - Get Away-On The Lake! NEW! 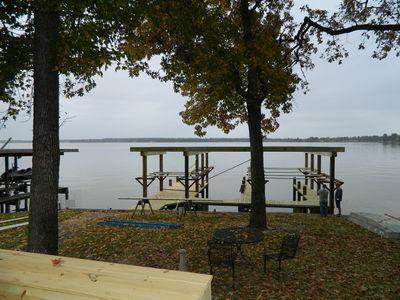 Lakefront Livingston Home w/Dock Near Launch!